The index opened gap-up just above 8200 and saw huge buying interest from the morning itself to make new highs with each passing hour to end the day near the highs at 8322.20, huge gain of 153.00 points. The broader market was also strong, with 1008 advances to 528 declines. Initial range developing for the series is 8000-8500. Call option 8300-8800 added huge 62.71 lacs OI with short covering seen at 8200 and below strike prices. Put option 8500-7800 added huge 65.83 lacs OI with profit booking seen at 7600 and below strike prices. 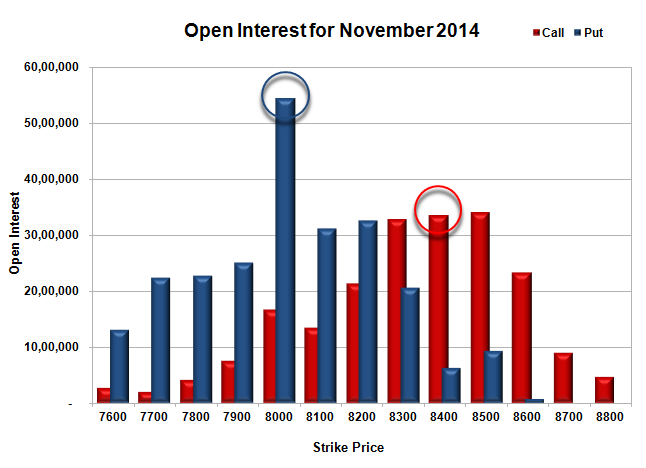 Nifty Open Interest is at 2,07,85,600 up by 22,09,400, with increase in price, probably huge long build-up. 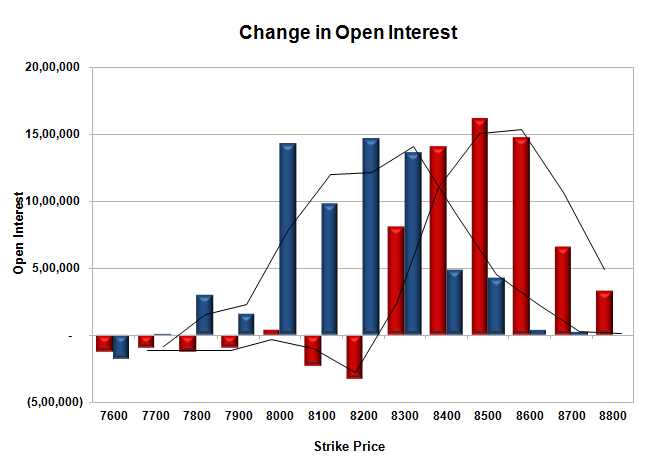 Bank Nifty Open Interest is at 19,61,075 up by 1,27,350, with increase in price, probably huge long build-up. FII’s bought huge 17.70 lacs Futures, which includes 46604 contracts long build-up and 3597 contracts short covering, with increase in net OI by 43007 contracts (includes 144741 longs to 75925 shorts for the day). FII’s Index future open contract as on date is 639632 Longs to 82255 Shorts, net long 557377 up by 50201 contracts. Initial support at 8200, with huge OI addition of 14.60 lacs and below that at 8000 with highest OI of 54.46 lacs. Initial resistance at 8400, with OI of 33.53 lacs and above that at 8500 with OI of 34.00 lacs. 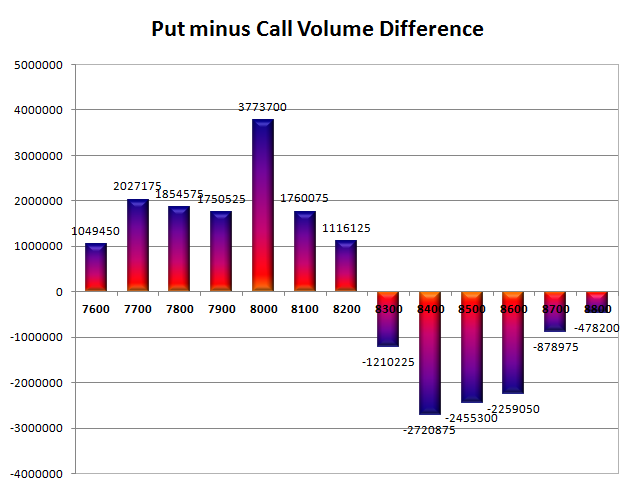 Day Range as per Option Table is 8221 - 8365 and as per VIX is 8264 - 8380 with 8284 as the Pivot.